I think the most important thing is don't be afraid to join , participate and post . . . anything . I've only been here a very short time and by being a bit outgoing ( here ) have made a lot of new friends . really matter what you want or if your just bored so please feel free to add me or message - whatever you wish . you may want to give me a few minutes or a day or a week to finish it... then reload . 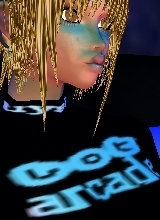 and chat not only about IMVU but within the program itself . So when I find a new forum like this i'll take a few days,weeks or months howsoever long it takes to read all the topics im interested in..
Unanswered topics , Active topics , Search , Members and The team . The two you really want there are New Posts and Unread posts as when you visit the forum here it will remember what you have viewed and then know anything new you haven't seen ( Unread posts ) . So most importantly there is to keep an eye on Unread posts as well Unanswered topics ( those posts no one has replied to as of yet which is a good way to if possible you can help out those unread/unanswered topics ) . Now a lot of times you may want to add a picture and there are plenty of image hosts so use the one you like best . http://radikal.ru/ which is in Russian and you can't copy the text as they are buttons . Below I've translated them that way if anyone wants to use radikal as an image host it will be easier to understand . Anyways simply click on - Select file then Upload to server and your done besides on page 2 to copy the link . [ I m g ] ADD PICTURE URL LINK HERE [ / I m g ] add your picture link and that will place the pic here for ya . will make it easy enough to do without having to resize it yourself . which is the 5th from the left looks like this < / > , simply place your banner html code in between the [ c o d e ] PLACE CODE HERE [ / c o d e ] .